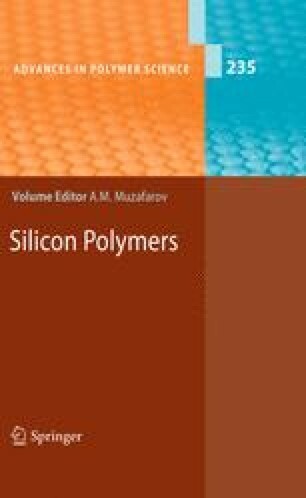 In this chapter different types of conjugated organosilicon materials possessing luminescent and/or semiconducting properties will be described. Such macromolecules have various topologies and molecular structures: linear, branched and hyperbranched oligomers, polymers, and dendrimers. Specific synthetic approaches to access these structures will be discussed. Special attention is devoted to the role of silicon in these structures and its influence on their optical and electrical properties, leading to their potential application in the emerging areas of organic and hybrid electronics.